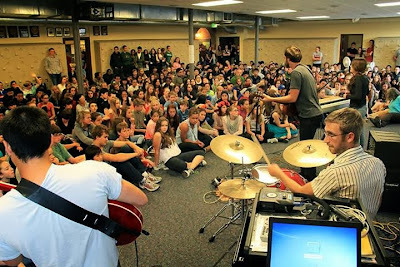 Hello world, A couple weeks ago we had the rad opportunity to play at The Northwest School where I teach. I love this community. It's full of people who are doing something to make a change in the world and I was grateful we got to share our music and mission too. Here's a picture Andrew Matson of Seattle Times' Matson on Music snapped during our set. Enjoy!